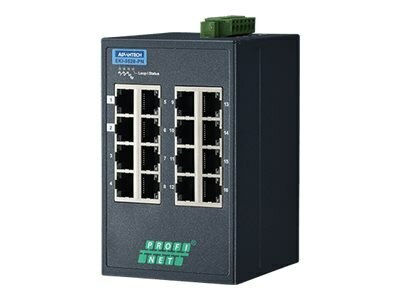 The EKI-5526-PN are entry-level managed switch products. They support media redundancy protocols and meet the PROFINET real time standard. The devices come with a compact metal housing that is IP30 rated to protect against dusty industrial environments. The wide power input power (8.4 to 52.8 VDC) is dedicated to operating in areas of unstable power and rugged environments.